The following is a press release from the AMHA Youth Council. 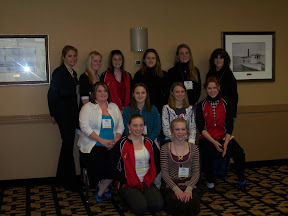 This year at the American Morgan Horse Association’s (AMHA) annual Convention, the youth were very busy! Rebecca Jones was elected as the new Regional Director of Region 10. Robin Davies joined as a new representative from Region 8. We still are looking for members interested in joining, especially in Regions 2, 3, 5 and 8. Please contact Kate Foy at kfoy@student.stalux.org or Amanda Ryan at Amanda@morganhorse.com. The youth council has taken over the planning of the Oklahoma Youth Party. We need a theme! If you have an idea for the theme or would like to get involved in any way with the planning of this year’s party, contact Spencer Conklin at tellygurl4591@yahoo.com or Christina Mitchell at elkhorncreekranch@yahoo.com. The Youth Council also is planning a nationwide fundraising effort for charity. Be on the lookout for more upcoming information on this. In the meantime, TEAM MORGAN and the AMHA/AMHI Building Fund are looking for sponsorships. Any youth club can donate to either cause. Contact Sara Foy at sarafiremark@aol.com to donate to TEAM MORGAN’s quest to South Africa to compete with the SABAU team. Contact execdir@morganhorse.com to donate to the Building Fund and help the Association’s Building in Shelburne, Vermont! There has been a big change to the youth Achievement Award. The Youth Achievement Award is given to the youth member accumulating the most points in specific categories from November 1- October 31 each year. Currently, we are in the middle of the qualifying time for the 2008 award winner. Taking effect immediately, all badges, Gold Medal Finals champions, and National Youth of the Year Champions are able to count their points regardless of when they were won. For more information on the change, the award process, the award itself, or how to apply, contact Amanda Ryan at Amanda@morganhorse.com. The Youth Council also is working on an overhaul of the Morgan Badge program! New prizes for Black Hawk and Justin Morgan are in the works, so be sure to be on the lookout for more information on that! Attention all artists of all types! Painters, sketchers, photographers, and sculptors are invited to enter the Morgan Masterpiece program, kids and adults alike! Great prizes and a chance to have your work published are up for grabs! So start your creative process and go create! If you have any ideas that you would like the youth council to take on, don’t be afraid to talk to us! We want to hear from you. Please send any ideas or issues you want to see addressed to any of the people below.